Slingshot VoIP | Networking 101: Why You Should Be On Top of it. When it comes to networking some people will jump at the chance, while the thought of it makes others cringe. Networking is a fundamental part of growing a business. For those claiming it is not their forte, they’re making one big mistake. Networking in person is just as important as it is online. It’s inexpensive to use the Internet to do some marketing through, for example, Facebook or Twitter. Yet, there are still business owners who avoid networking. And that’s going to cost them. You’d think business owners would be on top of their game when dealing with networking, but that’s not always the case. Ivan Misner, founder of BNI, a professional business networking organization, claims that most business owners avoid networking due to the lack of confidence, patience, time and knowledge. Lack of confidence will kill your motives. People respond well to confidence so the best thing to do is to shed the fear. Some folks avoid networking because of the insecurities of what others will think of them and their potential contributions. The greater fear is rejection. Nobody likes them but learning to deal with rejections and accepting it as a beneficial factor is a good habit to adopt. A combination of low self-esteem, shyness and fear of rejection may just be the worst recipe for networking. Get out of your comfort zone and wiggle your way into the crowds (now). Without patience, networking will seem like a futile duty consuming nothing but your ‘valuable’ time. Networking is more than merely showing up at an event and fluff-talking your way around while nibbling on the Gouda. You must let your relationships grow and that’s going to take time. Don’t expect immediate results because you’re not going to get it, unless you’re seeking for something friskier. Those who tend to deny the beauty of networking are the ones who make no efforts to follow up. Keep in mind that the relationships you build today will come back to take care of you. There’s a difference between finding time versus making time. People tend to say they “never find time” to do something; if it’s important you’ll make the time for it. Everyone has their own routine and adding ‘networking event’ to the to-do list may seem unnecessary. These networking opportunities looks dull and time consuming but you never know what’s out there until you put yourself in the scene. Change is good so break out of your routine and who knows what’ll come your way. 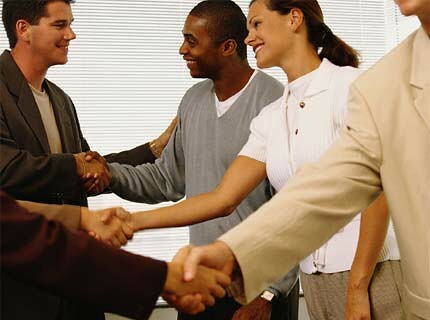 Networking can be a phony event where people mingle solely to reap in what they can get. The attitude towards networking may feel like a game of buying and selling but that’s not how it works. There are those who lack the knowledge of what networking is due to this misconception. Scrap that mentality. Think about how to build relationships with others and not what you can get from them right off the bat.